Last weekend, I went to Lotte Shopping Avenue and bought my very first Shu Uemura product. I’ve known this brand for quite long and read so many reviews about it (but never bought one tho, lol). I didn’t even plan to buy one of their products that night, but I ran out of my daily foundation so I had to buy it. My previous daily foundation is Lancome Mat Miracle 24H- it is good and light and I love Julia Roberts (?? ), but it doesn’t provide enough coverage (at least for me, k!). So then I was like “I’ll buy what I think I want to buy (without any review)” and I found myself in Shu Uemura outlet. I came up to this gay, woops, I mean ‘guy’, and asked him for a daily foundation product. He gave me two choices, which were the Lightbulb Fluid Foundation and the Lightbulb Oleo-Pact Foundation. I’ve heard a lot about the Lightbulb Fluid, but I've never heard about the Oleo-Pact before, so then I thought I’ll just try this new chick. The Lightbulb Oleo-Pact Foundation is a new product from Shu Eumura. It comes in a cream compact version, with no water added and new jellified oil complex- plus, it comes along with a dome-shaped sponge that helps to apply the foundation into the skin and creates veil satin glow. The sponge is thin at the edge (3mm) and thick at the peak (10mm). 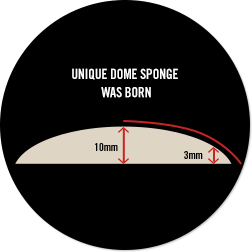 So as you notice, most make up artists would bend and hold the sponge in such a way that it is shaped like a dome to make it easier to apply and to avoid streaks on the skin. Since the shape of the sponge has been already dome-shaped so then you don’t have to bend the sponge anymore. So stick with the sponge, ok! There are 16 shades of color that you can choose. I tried 554 and 564- and chose 564 Medium Light Sand. The guy told me that this foundation should last for 12 hours without looking dull, but then I know my skin very well and I know I shouldn’t expect too much for that. After I tried it, I have to admit that the coverage is better compared to my previous foundation- I'm sorry Julia Roberts. The texture is light- and I love it! I could say that it stays put on my skin for a few hours (no, not 12hours! ), without too much fading. It covers my large pores, redness and dark circle. It comes to SPF25 PA++, so some of you might want to use additional sunscreen underneath. 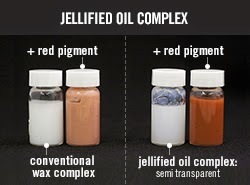 Overall, I love this product. It lasts on my skin and covers the job of my concealer as well. I would definitely recommend it to you, and just incase you want to get one, the price is IDR 680K. Will it work on my skin? I have oily skin. I have a combination of dry and oily skin (but mostly oily tho), and it kinda works on me- so it will probably work on you too. Or maybe you can come to the outlet and try to apply it in your face, walk around the mall and see whether it last or not.